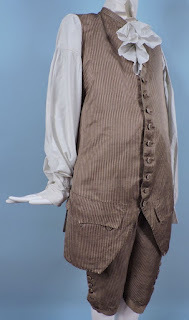 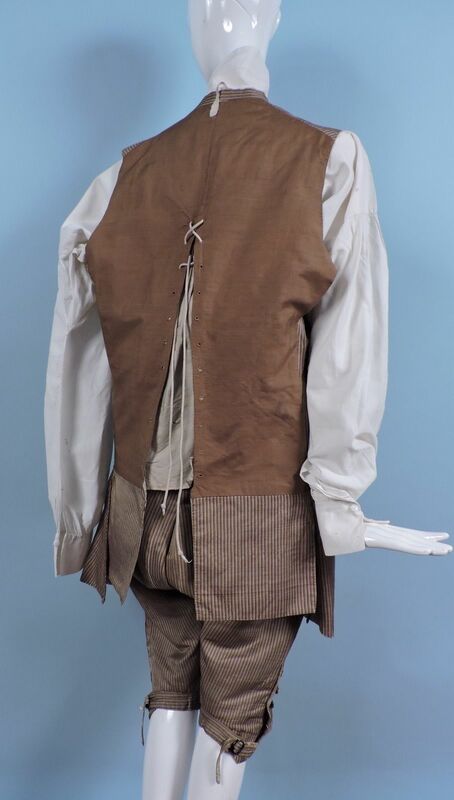 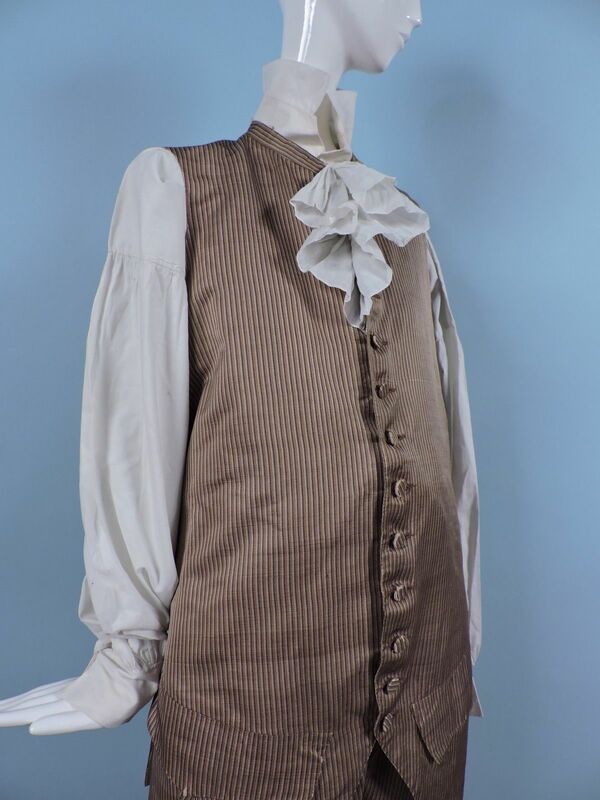 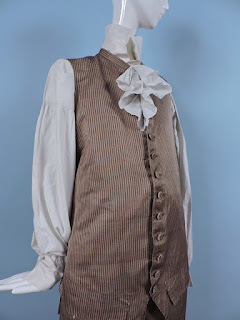 All The Pretty Dresses: 1770's Men's Outfit Pinstripes! 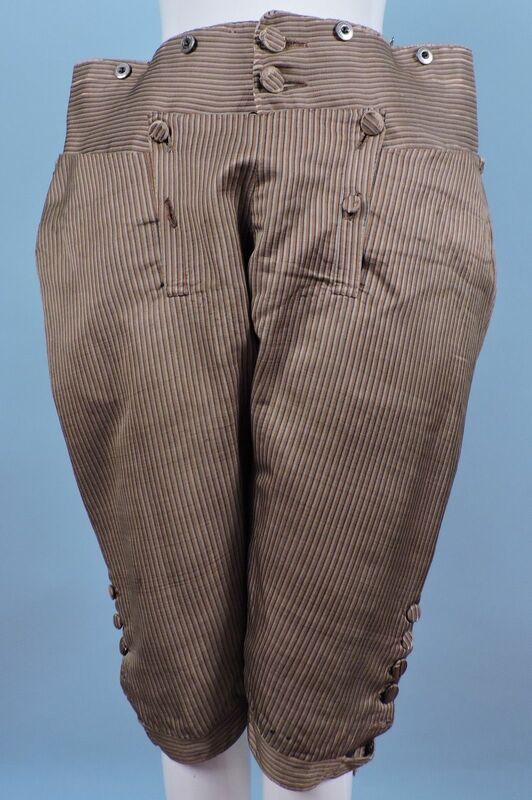 The Breeches Have Missing Buttons, The Metal Buttons Seen Are A Replacement. The Inner Jacket Was Relined In The Early 19th C, Linen Label In The Lining. 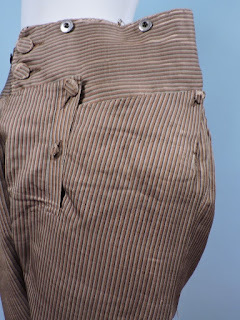 There Is A Large Water Stain On The Inner Lining Only, Not Seen From The Outside. Minor Edge Fray At Breeches Waist With Several Small Brown Stains. Shirt Not Included. It Is So Rare To Find These Early Suits Complete And In Such Pristine Condition As This. Could Be Worn If So Desired, Not Recommended. 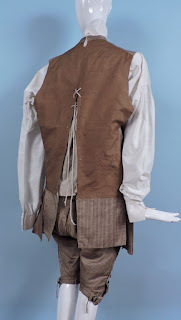 I was originally hesitant to post this one until I read the description - I knew the metal buttons weren't right at all. 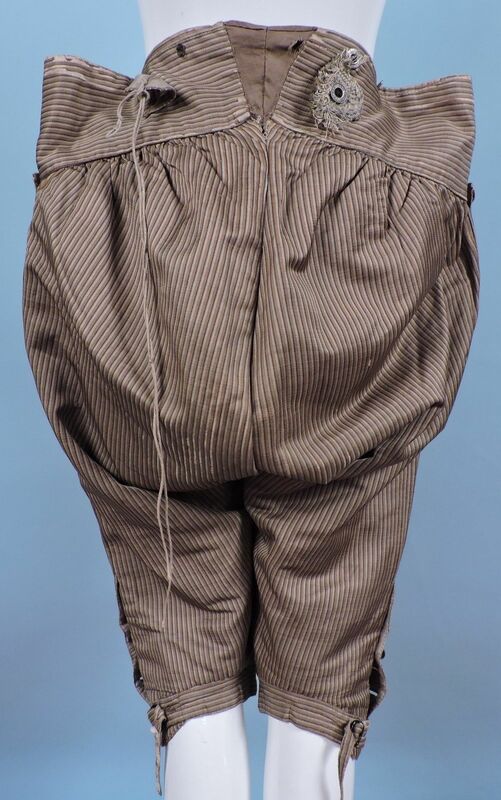 There were other alterations that made me think this was more likely a really amazing Victorian Fancy Dress type outfit but the seller's explanation makes perfect sense. 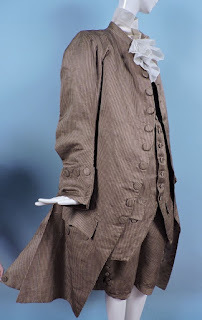 So, yes, it really is 1770's. 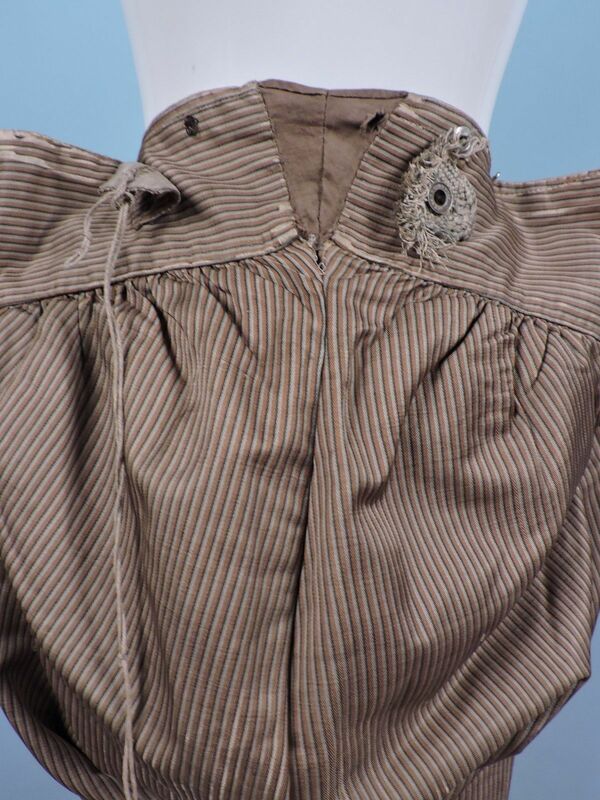 A decade earlier but stripes! A little over a decade later but still stripes!